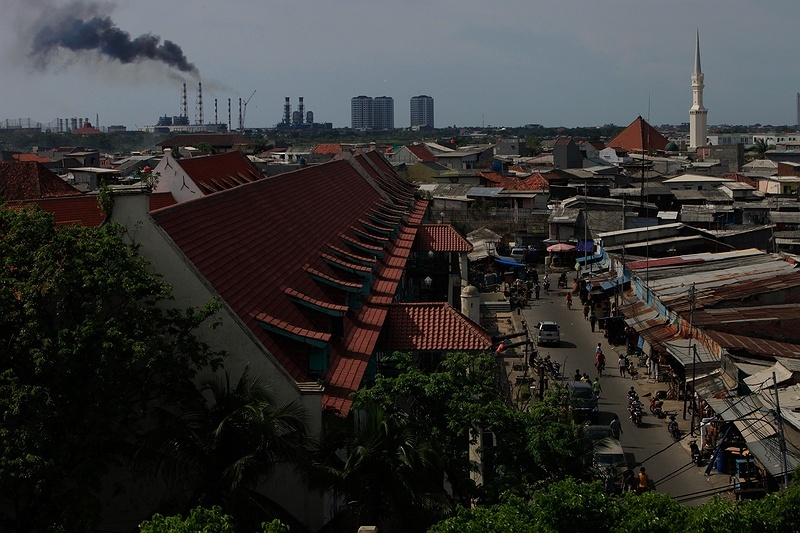 With a population of nearly ten million people the estimated sea level rise by the end the century will have a dramatic effect on Jakarta's population. One of the poorest areas of the huge city are the slums by the sea. A predicted rise in sea level of 5 centimetres by 2025 will be magnified by that the city itself is sinking with an average of 5 centimetres per year. Jakarta will then be increasingly vulnerable to flooding from tidal surges. These areas will be first and most severely affected by sea level rise.